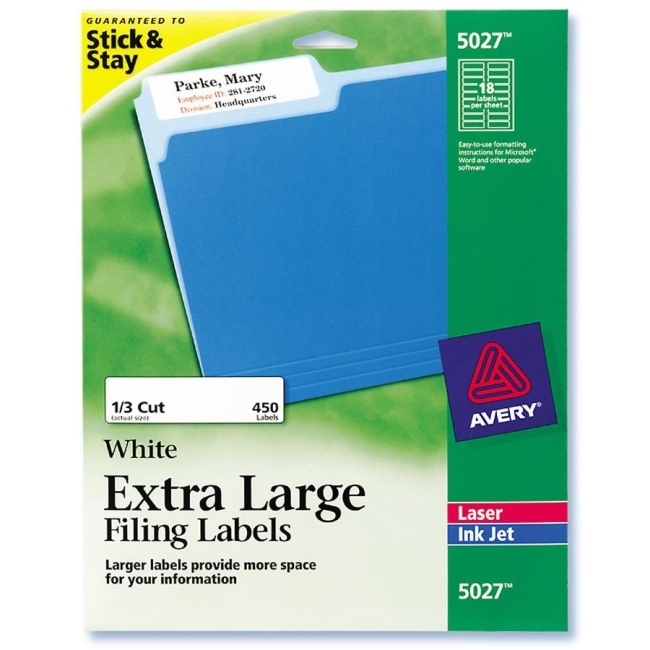 Maximize text space on your file for quick and easy identification with these extra large filing labels. Ideal for multiple lines of text, larger font sizes, graphics and logos. TrueBlock technology allows the labels to completely cover everything underneath so you can re-use file folders again and again. Labels stick and stay without lift or curl. Sized for 1/3 cut file folders. 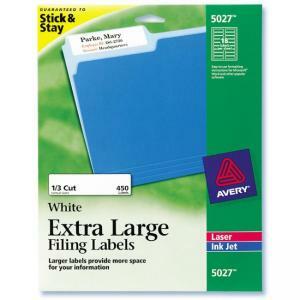 Avery offers many easy-to-use templates for Microsoft Word and many other software programs. Compatible with inkjet and laser printers.